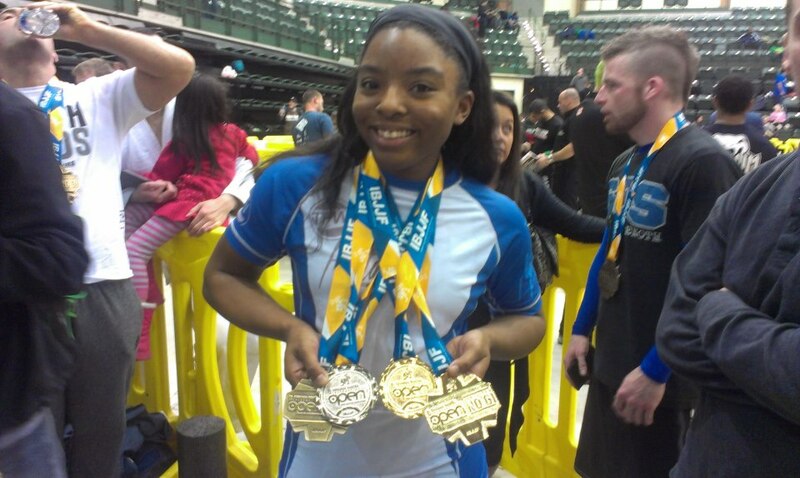 On March 9 & 10 I competed at the Chicago open and had great success. 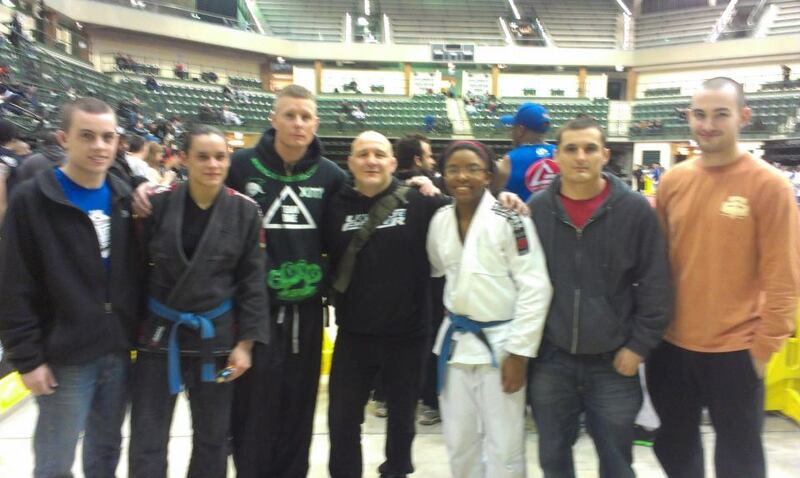 Team 1 BJJ (Bowling Green BJJ & Etown BJJ) Took 5 competitors and came back w/ about 7 medals I believe. got to meet Carlson Gracie Jr.
Quick team overview: Joe Dibble earned 2nd Purple Senior 2 gi (won 1st match by points but lost second round to triangle), Shannon earned 1st blue belt medium and we both closed out the Female Blue belt open weight (she won her first match w/ armbar and the second match by points). Awesome job everyone!! 3rd match: Me vs. Shannon, opted not to fight teammate. Shannon ended up winning her two matches on the other end of the bracket so we closed out the division 🙂 and we both were happy because our last few matches had taken a toll on our bodies. Shannon’s of higher rank so she took 1st and I took 2nd. Rather than do rock, paper, scissors, we let seniority decide. 1st Match Me vs. Nora I’m up on points and what I do……*drumroll* i get DQ’d like a big dummy. Ughhhhhhhhhhhh. I’m still mad about this one, mostly at myself for not being more aware of my limbs. Went for a straight ankle, she rolled the other way and my leg slid across. Got 3rd by default but no worries I still had the open division to make up for my big blunder. 1st match won via rear naked choke. 1st time someone went out on me at a tournament. 2nd Match, finals. Me vs. Taylor won via rear naked choke. I’ll post all the videos at a later date but with the Worlds so soon around the corner I was advised that might not be the best thing to do just yet. 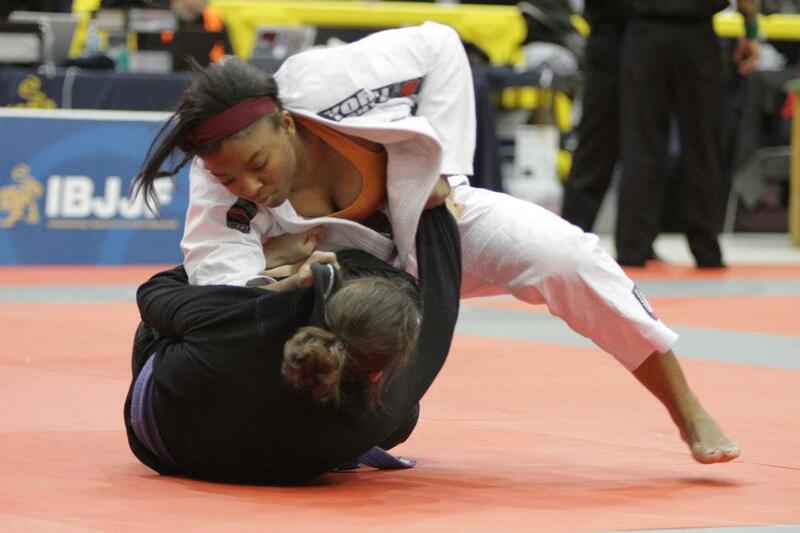 I am so motivated to compete again that it’s almost a little weird. I am pleased to say I had NO, I repeat no boobie incidents. Everything stayed in place so that was great. Zee boobies we brought up in passing with one of the excellent photographers. I made a couple comments about how she had to photoshop my girrrls which was funny but slightly embarassing at the same time. I’ve been battling a strange allergy/nasal thing that has made eating a freaking nightmare. Have you ever heard of deviated septum? Well I noticed lately that I’ve been “choking” on my food a lot lately because sometimes it bypasses my throat altogether and goes straight up my nose. Pretty gross, annoying, and EXTREMELY painful. Sure enough after my first match (gi) I felt this overwhelming burning sensation in my face and then my chest and I didn’t know what was going on so of course I started to panic. I was super nervous because I still had to compete in the finals but was in no shape too. The source of my pain:granola from the oatmeal I had that morning had went through the wrong passage AGAIN and was the cause of the burning inferno in my face. I’m just glad I had enough time to run to the bathroom and get all that situated before it got worse. Everyone and their mama were getting turned away from the gi/no gi inspections so people please beware DO NOT TAKE THE MANUFACTURER’S word that their rashguards/uniforms are IBJJF approved. Please read the instructions because it was a mess.